Ceramic Coating looks like Billet Aluminium - not quite as shiny as chrome. Under bonnet temperatures and heat soak into the engine and other components kill power, and reduce the life of heat affected parts. Some parts of Australia are excessively hot year round, other parts have hot days as well, and it seems to be hotter and more frequent. When you are stuck in bumper to bumper traffic, there is not much airflow cooling the under bonnet temperatures, and if it is a 40 degree day the temperatures are even worse. Many people install Cold Air Intakes, or Over the Radiator Intakes to make sure the engine is breathing colder, more oxygen rich air, to increase power, yet these are also affected by heat soak under the bonnet particularly in slow moving traffic. Ceramic Coating holds the heat inside the pipe and can reduce the temperature by half on extractors, manifolds, turbo housings and dump pipes, and it is also great on intake pipes. This means the under bonnet temperatures can be greatly reduced, and it also reduces heat soak in the engine and on intake pipes and inlet manifolds. MCX Ceramakrome looks like polished billet aluminium, so it looks great in the engine bay, and because the coating is internal as well as external, it stops the pipes from rusting, makes the inside of the pipes smooth, and this reduces friction and increases power and gas velocity, which increases power and gives better fuel economy. 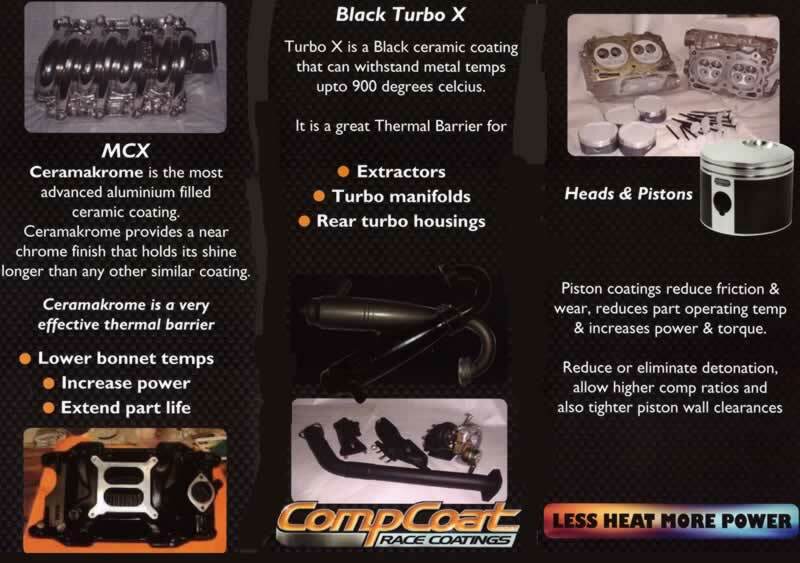 For higher temperature applications, Black Turbo X withstands up to 900 deg Celcius, and the black coating also looks quite good. 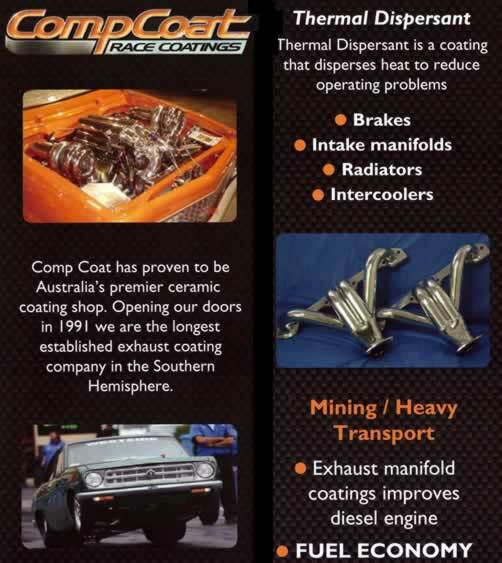 On mild steel, the ceramic coating stops them from rusting, so if you are keeping the car for a while, or less driven particularly weekend cars, the extractors tend to rust out quickly, so the ceramic coating protects your investment. If you install a Cold Air Intake to make more power, then you should look at the ceramic coating as being another power adding modification, which not only looks good, but also protects your investment. We use them because the quality is the best around, and they have been in business since 1991. Coating usually takes around 1 week to get done, depending on workload. Extractors and pipework can be coated on the inside as well as the outside. 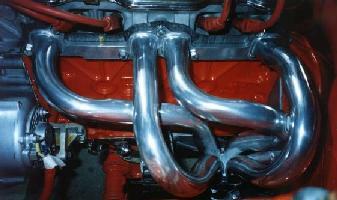 Mufflers and Cat converters can be coated on the outside. If you have custom extractors, or if you do not drive your car very often, Ceramic Coating is a very good investment to protect your expensive pipes against rust.